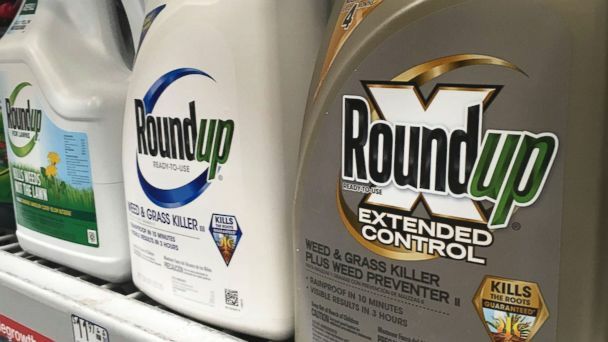 SAN FRANCISCO (KGO) -- For a second time in less than 8 months, a San Francisco jury awarded a local man a multi-million dollar decision after they found agrochemical giant Monsanto liable for causing his cancer after he used one of their weed killer products. Monsanto, which is now called Bayer, responded with a statement saying they are "disappointed with the jury's decision," and will appeal the verdict. Less than 24 hours earlier, the six-member civil jury unanimously concluded that Monsanto's Roundup weedkiller was a "substantial factor" in Hardeman's non-Hodgkin's lymphoma. "Clearly, the testimony that informed the jury's decision was Bayer-Monsanto hiding Roundup's carcinogenic properties, manipulating the science and cozying-up with EPA so it would not have to warn consumers of its dangerous product," said Hardeman's attorney Ken Cook. The 70-year-old Hardeman claims his illness resulted from 26 years of spraying Roundup to kill poison oak and weeds on properties in Gualala and Forestville between 1986 and 2012. His lawyers claim Monsanto should have warned him of the dangers but instead sought to counter studies that might show a link between Roundup and cancer, even to the point of ghost-writing some papers. Monsanto maintains it acted responsibly and that as of 2012, no regulatory agencies or health organizations banned the herbicide. Hardeman's case is the first to go to trial of more than 760 lawsuits that were filed against Monsanto in federal courts around the nation and transferred to the court of U.S. District Judge Vince Chhabria of San Francisco. courts. Last year, a San Francisco Superior Court jury awarded $289 million, later reduced by the trial judge to $78 million, to cancer-stricken former school groundskeeper Dewayne Johnson of Vallejo. Monsanto, now a subsidiary of Bayer AG of Germany, is appealing that verdict.